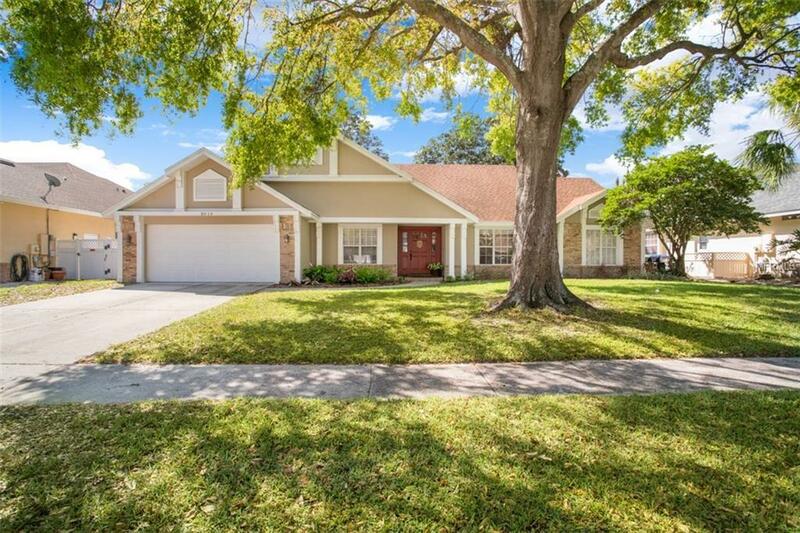 Presenting the best of Dr. Phillips, packaged in this lovely single-story home, with split floor plan. Offering separate living and dining rooms off the foyer, guests are welcomed in style. The adjacent family room is a favorite gathering space with a natural stone floor to ceiling fireplace flanked by windows and doors leading to a fully screened patio. The cook in the family will love showing off this spectacular kitchen featuring beautiful custom cabinetry, copper tin tile backsplash, high-end granite countertops, and stainless appliances. A large breakfast nook offers room for all. The master retreat features a generous bedroom with a lovely custom built in closet and a master bath with two toilet closets, two sinks, shower, and garden tub. Two additional bedrooms on the opposite side of the house are spacious and share a hall bath with full shower and updated vanity. Top-rated schools, proximity to Restaurant Row, and easy access to Universal Orlando and Downtown Orlando. Additional Lease Restrictions Contact Hoa For Any Restrictions. None Known.